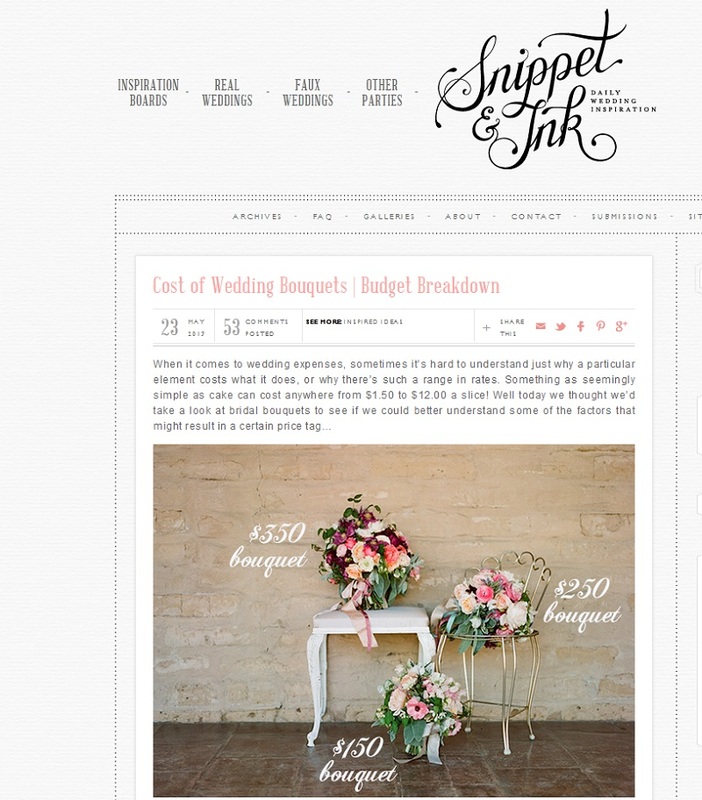 Our friends over at Snippet and Ink have posted a great article on wedding bouquet pricing and everything that goes into the design - including materials and labor. I think they did a great job with explaining how the process works! Check out the article if you are just starting to research your wedding floral budget for some helpful information.